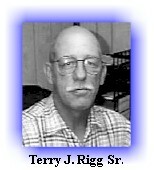 Terry Rigg is the editor of the Budget Stretcher Newsletter. The Budget Stretcher Newsletter is published monthly and is loaded with information that will save you time and money everyday. Go to http://www.homemoneyhelp.com for more information. If you have ever fallen behind on your debts you already know that dealing with your creditors can be a hassle. Sometimes it can be downright humiliating. It doesn't have to be that way. With millions of people experiencing financial problems it is absolutely necessary for everyone to know and understand their rights as a consumer. Federal law requires that you receive fair and equal treatment from businesses issuing credit. This law applies when they evaluate your applications for credit, insurance, employment, and even leases. The one area where I receive the most complaints are from individuals that are being harassed by debt collectors. These complaints range from debt collectors contacting their work and family members to being called names. All of these are a direct violation of the Fair Debt Collection Practices Act (FDCPA). This article spells out exactly what your rights are as a consumer. I have copied some areas of this article directly from the Federal Trade Commission's web site to ensure that the information is explained exactly as the law applies. These areas are identified. Debt collectors may contact you only between 8 a.m. and 9 p.m.
Debt collectors may not contact you at work if they know your employer disapproves. Debt collectors may not harass, oppress, or abuse you. Debt collectors may not lie when collecting debts, such as falsely implying that you have committed a crime. Debt collectors must identify themselves to you on the phone. Debt collectors must stop contacting you if you ask them to in writing. It also prohibits debt collectors from engaging in unfair, deceptive, or abusive practices while collecting these debts. It is very important to keep a record of any contact you make with your creditors especially when there is a dispute or misunderstanding regarding your account. You should list the name and address of the company, date and time of the call, the name of the person you spoke with and the content of the call. I have developed a form that can be used for this purpose. Another important aspect of your consumer rights is Credit Reporting. Derogatory information in your Credit Report can have serious consequences. It is ultimately your responsibility to ensure that the information in your credit report is accurate and up to date. Having knowledge of your rights under the Fair Credit Reporting Act (FCRA)can save you a lot of time and trouble when you apply for credit. The following explains these rights. Your Credit Report Your credit payment history is recorded in a file or report. 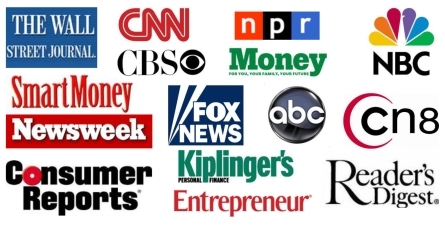 These files or reports are maintained and sold by "consumer reporting agencies" (CRAs). One type of CRA is commonly known as a credit bureau. You have a credit record on file at a credit bureau if you have ever applied for a credit or charge account, a personal loan, insurance, or a job. Your credit record contains information about your income, debts, and credit payment history. It also indicates whether you have been sued, arrested, or have filed for bankruptcy. year for most purposes or in the last two years for employment purposes. If you believe that your rights have been violated under one of these laws you can file a complaint with the Federal Trade Commission online. While these laws won't eliminate your obligation to pay your just debts they can prevent debt collectors and others from taking advantage of you.